So make sure to bookmark this spot and come back between 9 PM – 10 PM ET for our The 100 recap. While you wait for the recap make sure to check out all our The 100 news, spoilers, recaps & more, right here! Tonight’s The 100 recap begins now – Refresh Page often to get the most current updates! Clarke asks Jackson what happened down there and why her mother was afraid. Miller interrupts them. She tries to talk to Miller, but he doesn’t answer her. She catches up to him. He is going to the valley. She tells him he will need her help. The sandstorms are tough. Miller brings her to Octavia who doesn’t want to hear what she has to say until Bellamy urges her to. No matter how dangerous it is, Octavia doesn’t care. They need to get to the valley. It is the only living area. 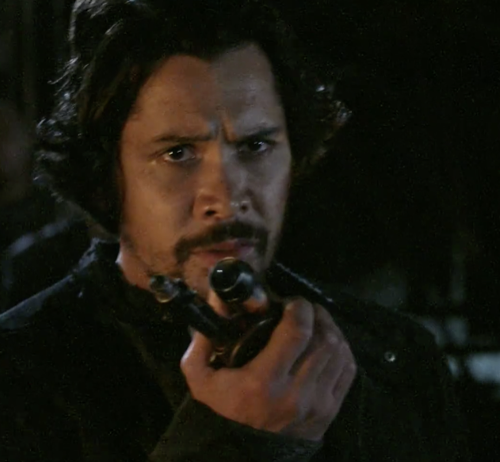 Clarke and Bellamy decide to go too. They all head out. Charmaine and the others are on the ship watching Clarke and the others. She commands Shaw to get her missiles ready. Charmaine comes out of the ship and fires her gun into the air. She tells her people that there is an army coming towards them. They have one day to get themselves together. Inside Clarke’s house in the valley, Abby looks at Clarke’s things. Marcus watches Charmaine and the others outside. Charmaine brings Abby one of her men. She needs Abby to help him. Once she does, she will give Abby her pills. On their travels to the valley, Miller comes screaming to the others. One of their own has problems. He falls to the ground screaming. Something is inside him. Shaw and McCreary try to get answers from Raven. When she won’t give them, McCreary starts to torture her. Shaw steps in and stops him. Raven offers Shaw a plan that she says he will like. Meanwhile, Marcus tells Abby she needs to rest. He will take care of her. She is upset that he had to kill someone for her in the arena. Charmaine comes in. Abby tells her that her prisoner has a pulmonary disease. Charmaine tells her that 13 other prisoners have the same thing. Shaw lets Murphy go. Raven is still on board. McCreary and Charmaine come on board. Shaw tells them that he has unlocked the missiles. They take Raven away. Murphy finds the others. He hops in the truck with Maddie driving. They don’t get far. The collar he is wearing zaps him. They are probably tracking him. He gets out and tells the others to go. A sandstorm is coming. In a tent, worms erupt from the man’s stomach. They light them on fire. Octavia has a worm inside of her arm. Clarke works to cut the circulation off on her arm so that the worm cannot travel. The sandstorm picks up. They huddle together to protect Octavia. McCreary takes Marcus and sends him to see Charmaine. She invites him to have some tequila. They talk. She wants to know about Octavia. In the desert, Octavia is alive and okay. She thanks Clarke for saving her life and hugs Bellamy. But tells him if he speaks out against Wonkru again he will be her enemy. A truck arrives. It is Maddie. She and Clarke hug.